Freestyle Afternoons are designed for people looking for some unstructured creative things to do individually or with friends and family. We have over 30 paintings with written "self-guided" instructions to help you create your personal masterpiece on a 8"x10" canvas for $15 or a 16"20" canvas for $25. Anticipate needing at least 1 hour to create your artwork so please arrive at least 1 hour before class end time. 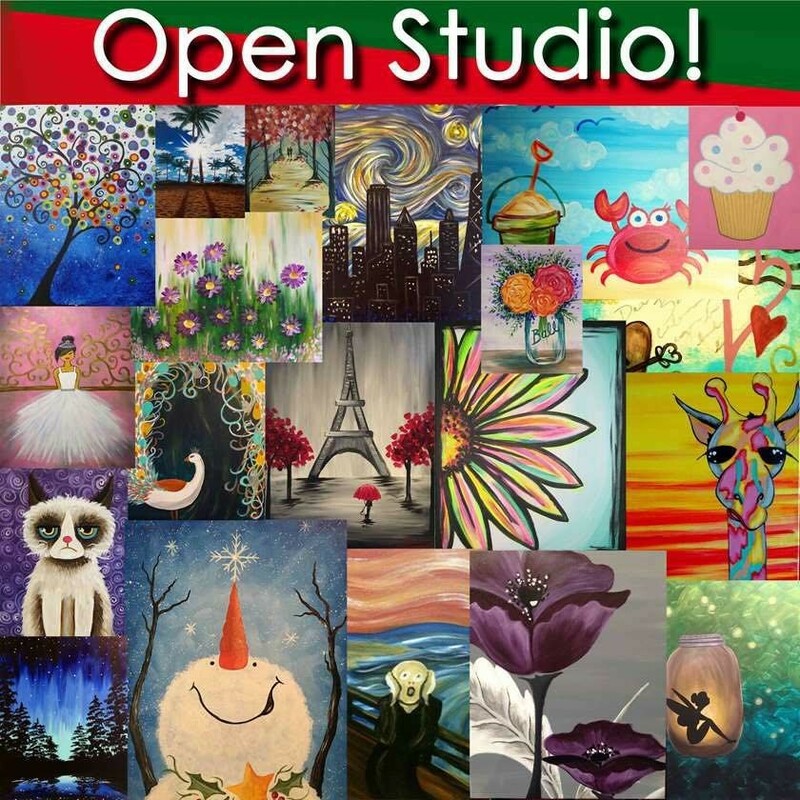 If you have some prior art experience or just like to try new things, you are welcome to paint anything in our studio that catches your fancy but instructions are only provided for the designated open studio paintings.